The ‘World Watch Fair’ in Tokyo, which has just opened at the Nihombashi Mitsukoshi and will continue until the 28th of August 2018, features some seventy participating watch brands. 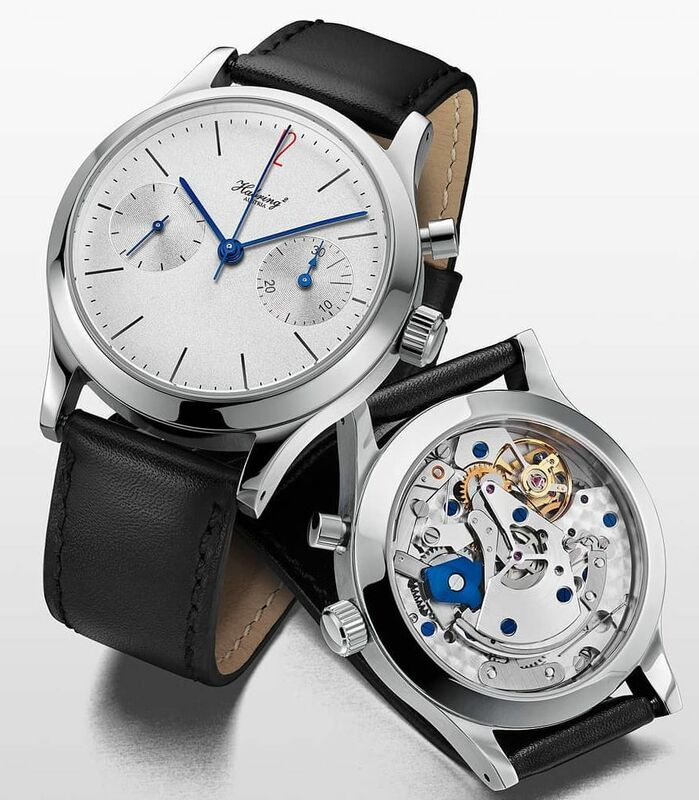 One of them is Habring², who have chosen the occasion to launch their new Chrono-Felix model. Habring² are calling this model the “compact sportsman” of the Felix family. You can immediately see how closely related it is to the Habring² Felix red ’12’ purely in terms of looks. 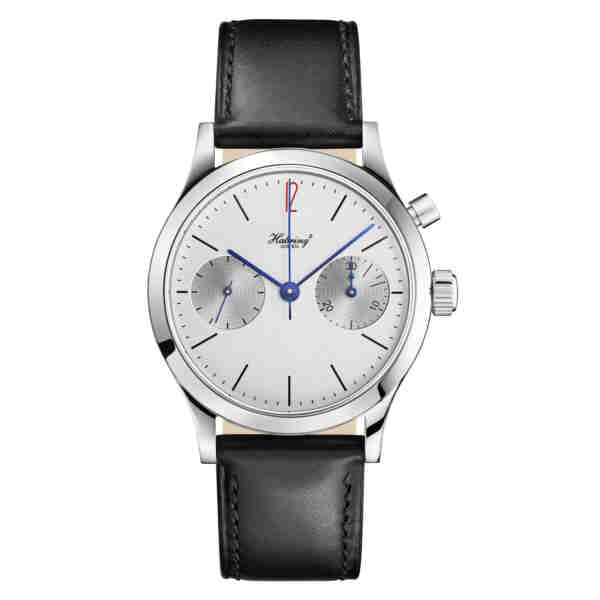 It is also in a 38.5mm sized stainless steel case with a water resistance of 30m. There is a spherical sapphire crystal above the silver-white granulated metal dial, which features black printed markers and a red ’12’, although for this Chrono, there is also the option of having a black ’12’. The hands are polished black oxidised steel, although blued steel hands are available on request. The classic blued hands and red ’12’ option is thus a possible combination. Along with the 30 minute chronograph counter sub dial at 3 o’clock there is also a small seconds sub dial at 9 o’clock. Visible through the case back is the manual-wind Calibre A11C-H1. The Calibre A11C-H1 has a diametre of 30mm and thickness of 6.5mm. The chronograph function that it powers is a monopusher, with a 30 minute counter at 3 o’clock on the dial. It beats at 28,800 VPH and has 48 hours of power reserve. The original Calibre A11 was an in-house movement developed by the brand for their tenth birthday Felix foundation model. This is a regular production model, but there are engraved serial numbers between the lugs at 6 o’clock. If you want to go back a little and read up about the historical significance of Habring² when it comes to chronographs, click on this link.